TerraCRG has been retained to exclusively represent ownership in the sale of the commercially-zoned building at 46-48 Old Fulton Street in the Fulton Ferry section of Brooklyn, between Dumbo and Brooklyn Heights. The building has approximately 42 ft of frontage on Old Fulton Street and is located just down the block from several planned luxury residential and commercial developments with a total of over 700 residential units and over 2M SF of commercial space planned including new office and retail space, along with a 200 room hotel plus a 50,000 SF school coming to the neighborhood. 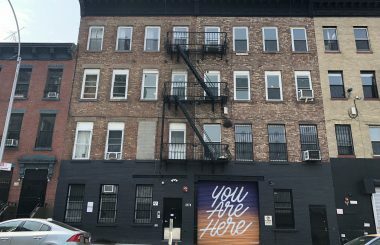 The building, nearly 100 feet deep has direct access to the back of the building as well with almost 50 ft of width on Doughty Street, and it is built full on the lot with a total of 17,864 SF above grade plus a 4,466 basement for a total of 22,330 Gross Usable SF, out of which greater than 50% will be delivered vacant. The four story building is currently configured as nine commercial units plus a full basement. The 3,466 SF street level retail space on the ground floor and the entire basement, as well as the entire fourth floor, will be delivered vacant. The building is being offered for sale at $7,250,000 which equates to approximately $405/SF and pro-forma cap-rate of 8.44% based on actual and projected rents. In the last decade, Dumbo has become one of NYC’s most popular neighborhoods to live and work in. It has been a center of innovation and creativity with tech companies, creative agencies and boutique finance firms occupying the commercial office buildings with office rents that surpass $40/SF and very little vacancy. Residential rents for new construction buildings in Dumbo are fetching over $60/SF and the recent condo pricing has been reaching above the $1,100/SF mark. National brands as well as upscale retailers restaurants and entertainment venues have been flocking to the Dumbo area to cater to the new daytime foot traffic and residential demographic. Dumbo a tiny neighborhood with spectacular views of Manhattan and New York’s beautiful bridges, including the Brooklyn Bridge, is the first neighborhood in Brooklyn you’ll find after walking the Brooklyn Bridge. It’s a combination of old warehouses, interesting shops and restaurants, and pricey high rise apartments. You can find art galleries and occasionally big neighborhood art shows here. And, DUMBO is home to the famous pizzeria Grimaldi’s, as well as Jacques Torres chocolate shop, St. Ann’s Warehouse (which hosts edgy theatrical performances) and numerous other arty venues.